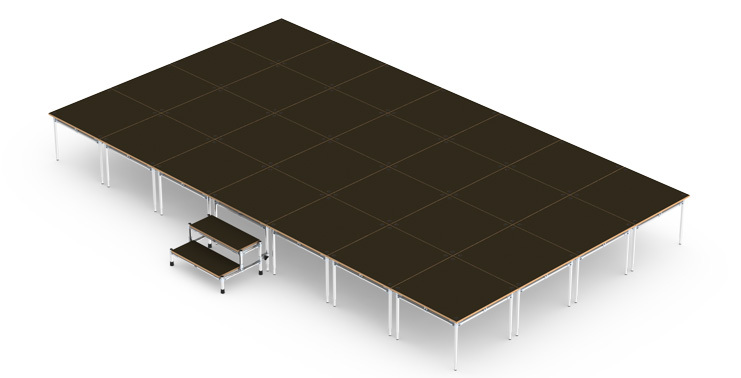 Modular Stage Systems (MSS) provide highly versatile, competitive solutions for staging requirements for all occasions. 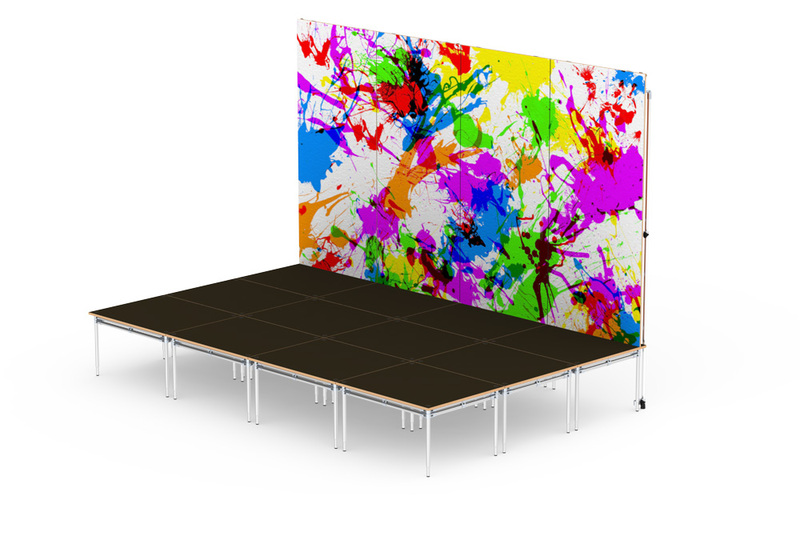 It’s light, quick and easy to assemble, and can be used as a stand-alone, portable stage, or incorporated into an existing stage system. 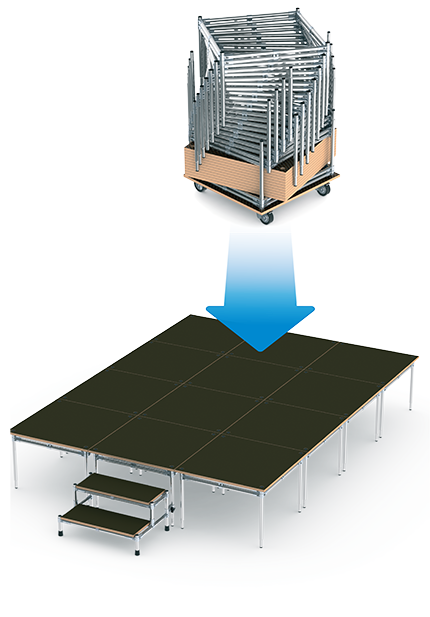 Your stage can be single-level or multi-level for performance, or tiered for seating and choirs. 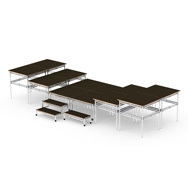 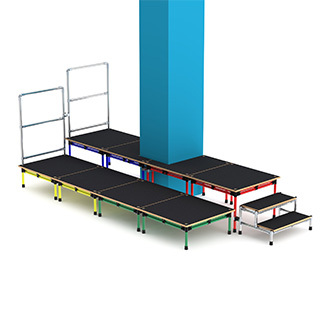 Equally at home in schools, colleges, churches, community halls and commercial or industrial environments, you can create platform layouts that are safe and simple to use. The modules store compactly on trolleys, which themselves can even become part of the assembled stage, eliminating empty units lying around, if the unique Transformer Trolley* system is used. 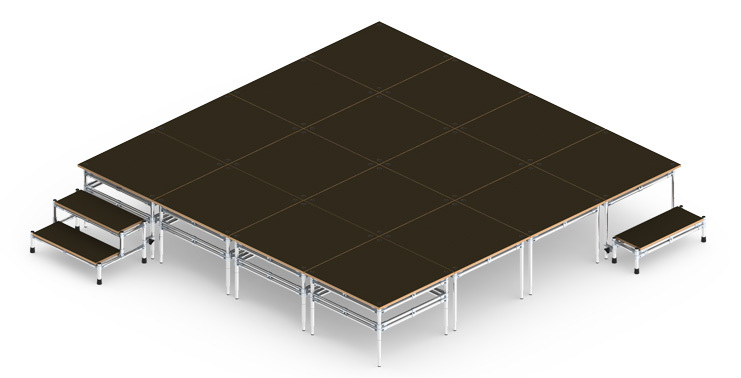 Durable, multi-ply deck boards are surfaced in non-slip, phenolic resin which positively locate on the light but strong, tubular, stainless steel base frames. 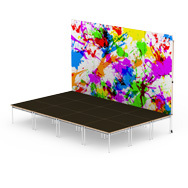 Other stage board finishes are also available in carpeted, varnished and vinyl. 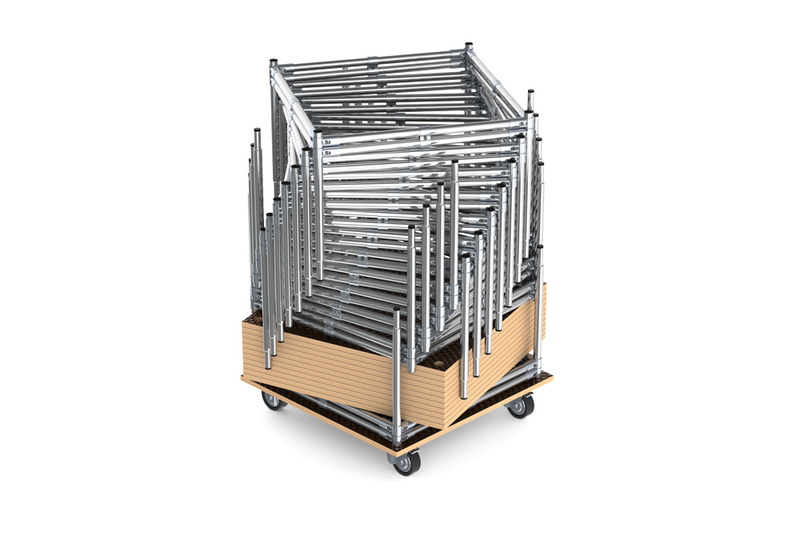 Multiple configurations can be achieved from even the most basic kits, and additional modules and accessories added to suit growing requirements. 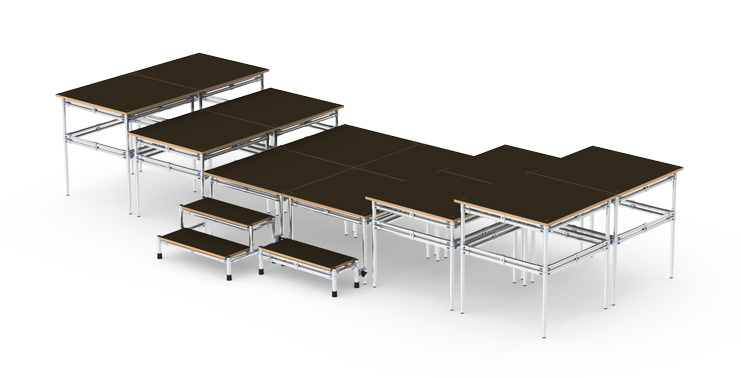 A range of standard height modules enable multiple tiers to be created, yet special sizes can also be manufactured to match or link with existing stages. 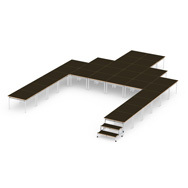 Guard rails, wheelchair ramps, step units, cloth skirts, backdrop frames, flats and curtain drapes are readily available, and optional solid cladding panels, or wheeled drawer units, enable tidy storage below the stage. 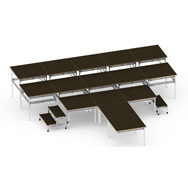 Design and production in the MSS works in West London enables thorough management of product development and manufacture, to ensure customer satisfaction and rapid response. 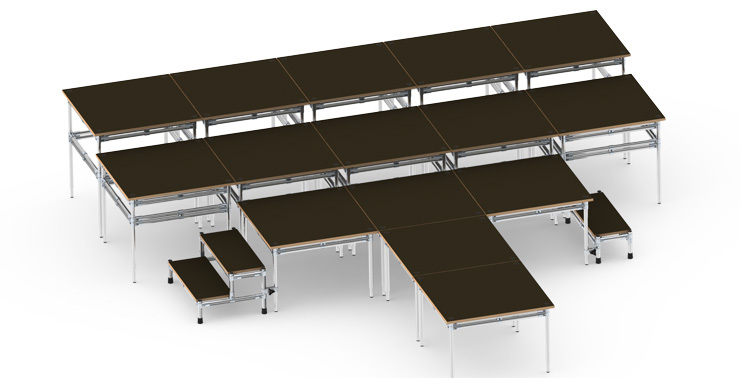 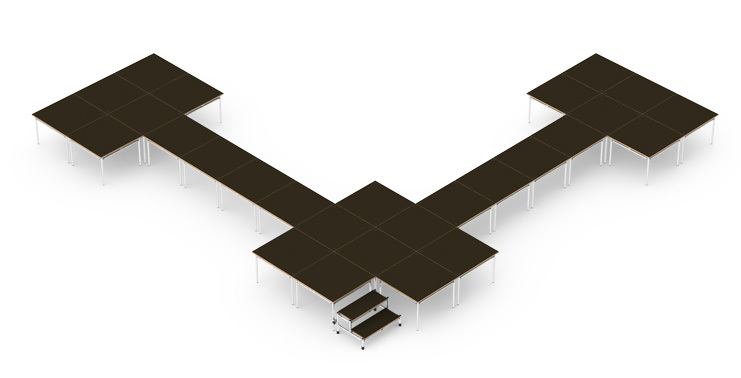 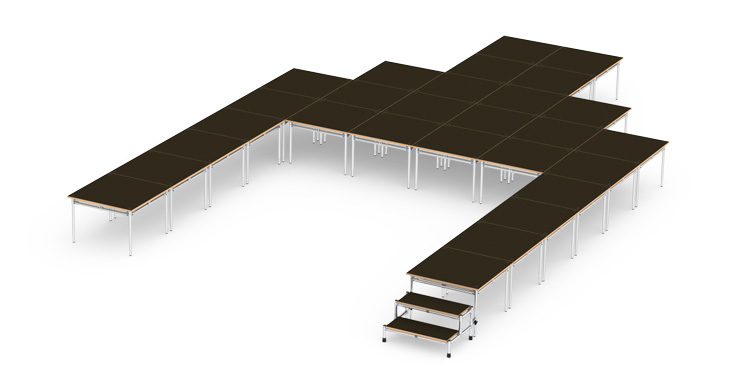 Our 3-D design software enables you to see photo-realistic representations of many different stage designs, enabling you to choose the best options for your requirements. 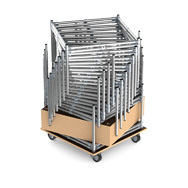 Tested to 7.5kN/m2 and proven in use, MSS ensures safety for many years to come. 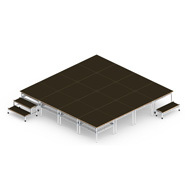 Affordably priced, Modular Stage Systems makes the ideal, instant hall, school or church platform. 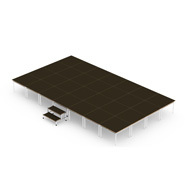 Music and band productions, choir stands, catwalks, a dais for a speaker or a simple access platform can all be achieved effectively and easily from a reliable and capable supplier. 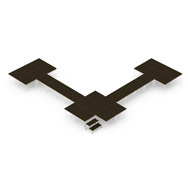 Flowstore Systems Ltd manufacturing since 1983.